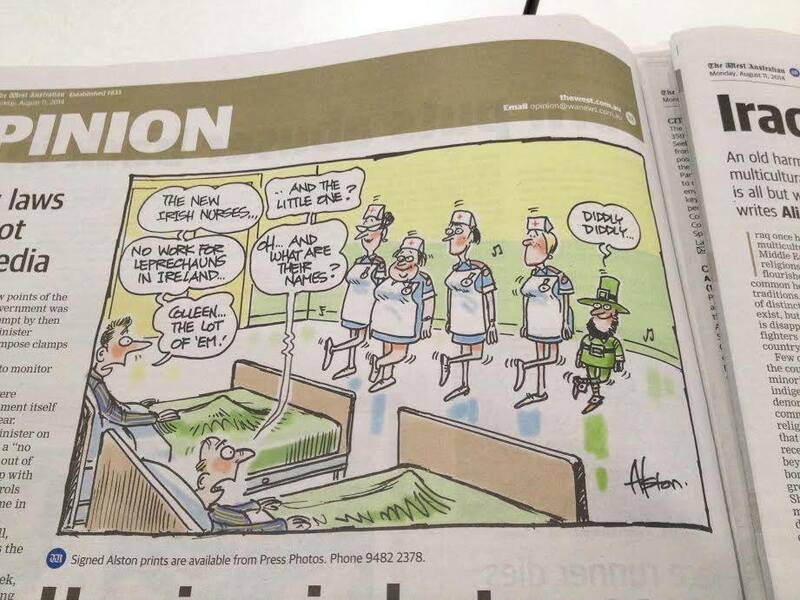 A cartoon in the West Australian newspaper on the subject of Irish nurses coming to Australia has provoked a furious reaction from the Irish community here. The Irish People Living in Australia Facebook page, with over 30,000 members, has sought an apology from the paper. No response from the editor so far, but the cartoonist has given a snarky reply.